What is a Power Plant? A power plant, or a power station, can be defined as an industrial facility that generates electricity for the region where it is located. Power plant generators are rotating machines that convert energy into electricity. Power plants can generate energy from various sources, such as nuclear power , gravitational power and chemical power. To find job opportunities in power plants, you will have to use different sources of information, including websites and forums. There are many specialized websites you can use to find job opportunities. On sites like these, you will be able to see the job offers in different countries and you will find valuable information on power plants in general. International Staffing Consultants can help you find more job opportunities and learn more about different types of power plant jobs. European Nuclear Society offers a great overview of power plants world-wide. You can also consult professionals. An employment agency can help you gather more information on overseas power plant jobs. Using such services has many advantages. You can post your résumé on some job recruitment websites. You will give them important details such as personal information, professional qualifications and experience. A good thing is that you only need to post your résumé once. Recruitment sites have powerful search features. You will easily find the jobs that match your search criteria. Then you can apply for positions that seem suitable to you and the site will automatically send your résumé (which is saved there) to the power plant. Some websites will also notify you by e-mail about new power plant jobs that meet your criteria. Then you can read the job details and decide whether you want to apply for the job. There are many different types of power plant jobs. There may be a job opening for an electrician, an engineer or even an accountant; you can also find job openings for pipe fitters, designers, researchers, and architects. Before applying for any job position, you need to read the requirements very carefully. Applying for a job position that does not match your education (or your work experience) will be a waste of time. Get as much information as possible about the company you are applying at. Have all the relevant papers prepared. Your documents must be valid, complete and up-to-date. This is extremely important because if your papers are not updated and authentic, you will have problems with getting the job. Understanding the country where the job is located: Last but not the least, do some basic research on the country where your future job is located. Learn as much as you can about lifestyle, cost of living, tradition, culture and language. 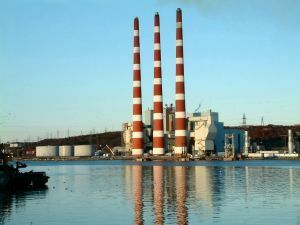 What Are the Advantages of Overseas Power Plant Jobs? The advantages may depend on which country you will be working in. You will have the opportunity to learn more about the culture, customs, lifestyle and tradition of the country. You will get more experience and training. If you work hard, you may get the opportunity to advance to some better position. In general, power plant jobs offer good salaries. Power plant employees usually work 40 h/w and have established schedules.